As soon as the weather in Munster starts getting warmer, kids naturally know that school is almost over. They start getting more and antsier in their seats and stare out the windows counting down the minutes until the bell things. Well, kids in daycare are the same. Even though the setting isn’t quite like a grade school, there’s still the expectation of being able to spend more time outside playing instead of inside learning their ABCs. 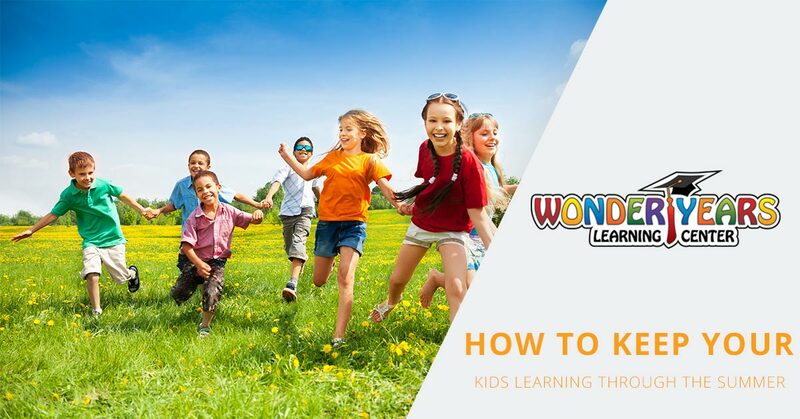 At Wonder Years, we want all of our students, no matter their age, to keep learning all year ‘round. But how? Here are some tips from our Monster daycare teachers. Yes, this activity may get a little messy, but it will be well worth it when everyone is able to snack on something delicious and learn at the same time! Baking is a great way to practice counting and even get started with some basic math skills. Let your kids scoop up a cup of flour or a teaspoon of vanilla, let them pour in some chocolate chips and help them mix everything together so that it doesn’t land in a pile on the floor. Did you go on a family vacation together? Let them make a collage of pictures! To make the project truly theirs, give them a disposable camera that they can take their own pictures with. When the images are printed out, help them cut the images with a pair of scissors and paste them on some sturdy paper to make a collage. Working with scissors will help improve their motor skills and gets their imagination flowing. What daycare age child doesn’t love playing in the dirt? Introduce your child to biology and try planing a tomato or zucchini plant in the garden. They can help you water the plants each morning, pull weeds, and watch as the plant starts flowering and eventually starts growing tiny fruits and vegetables. Gardening is full of fun learning opportunities, and a great way to give them some chores! They’ll be outside, so it won’t feel like a chore. On the northeast corner of Munster is Wicker Memorial Park, which has Little Calumet River running through it and several ponds. 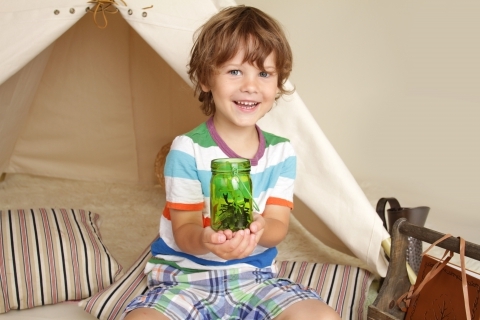 Your children can be an adventurer for the day trying to find bugs, birds, name trees, and more. Take a pair of binoculars and a pad of paper so they can look at things up close and draw what they see. It may not be the most exciting activity for your three-year-old, but it’s a great way to wind down a fun and full summer day. Take a trip to the library so they can pick out their own book and they can help turn the papes or point out different animals or people in the pictures. The summer break doesn’t have to mean that learning takes a break. At Wonder Years Learning Center and daycare, our teachers are passionate about helping your children love to learn and explore. Whether the daycare year is in full swing or it’s the middle of summer break and school is the last thing on their mind, it’s easy to find ways for your children to pick up some extra knowledge. If you’re looking for a caring and passionate daycare in Munster, give us a call at Wonder Years today.